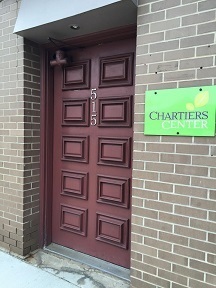 Chartiers Center’s Substance Abuse Outpatient Treatment Program is now open. The program is open to adolescents and adults age 12 and older who have displayed a need for substance abuse treatment services and require Outpatient Services. The Substance Abuse Treatment Program can also provide the appropriate level of care for consumers who are diagnosed with a co-occurring mental health disorder. The program is located at 515 Washington Rd., Bridgeville, PA and is conveniently minutes from the I-79 Bridgeville exit.To access the program, please contact our main intake line at (412)221-3302 x123. Chartiers’ staff looks forward to working with you in improving the lives of people who are struggling with substance abuse and/or mental illness.